Wheelchaired bursts...: How serious is osteoporosis? · Around 1.5 million people have a fracture related to osteoporosis each year. · Hip fractures are responsible for 300,000 hospitalizations each year. · Up to 700,000 vertebral compression fractures and 250,000 wrist fractures occur in the United States each year. 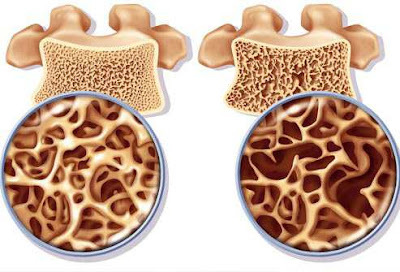 · The cost for treating osteoporotic fractures each year is around $18 billion — $38 million a day. · Approximately 20 percent of seniors who suffer a hip fracture will die within one year. · Around 20 percent of seniors with a hip fracture will be in a nursing home within a year. · White women older than age 65 are twice as likely to fracture something as African American women. Latino women’s fracture rates fall between the two groups. A woman’s risk of hip fracture is equal to her risk of developing breast, uterine, and ovarian cancer combined. · By the year 2050, men will have one half of all hip fractures in the United States.